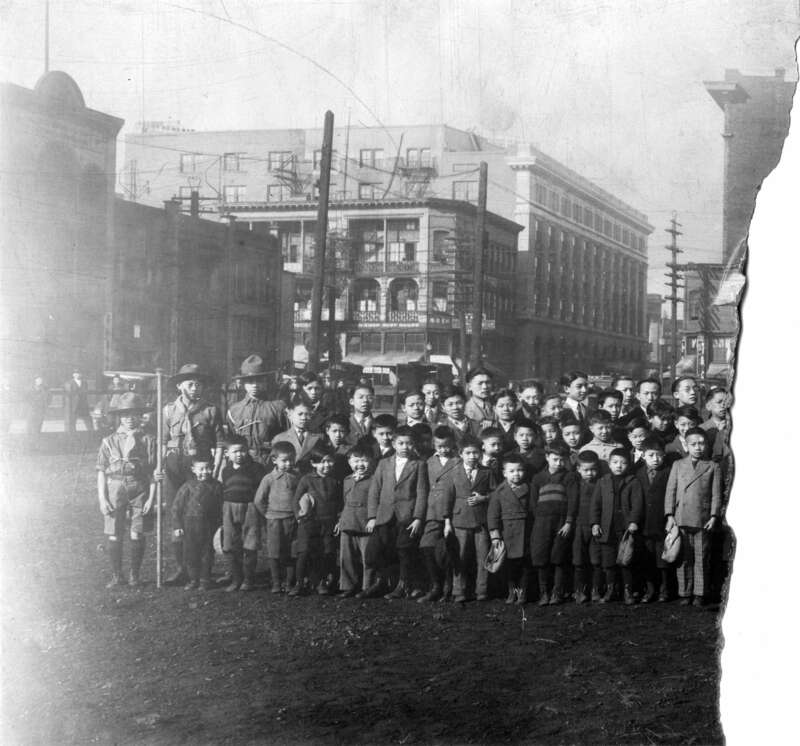 Photograph shows a large group of boys and young men (some in scout uniforms) standing on Pender Street. The Peking Chop Suey House in the Chinese Freemason's Building at 1 West Pender Street appears in the background. Approximately half of the photograph is missing. Approximately one half of the print is missing and the right side of the print is torn with emulsion missing. Emulsion is yellowing and scratched and the image is fading, particularly on the edges. Before 2008, the photo was numbered as CVA 689-7.